(3)Direction For Use :- 1 to 2 g. twice a day after meal ( Dose depends upon age, weight & illness of the individuals). OR as directed by physician. (4)Benefits :- It increases apetite & regulates peristalsis. Useful in gas trouble, constipation, headache, indigestion, loss of apetite, etc. Also useful in skin disease, liver disease, acne, rheumatoid arthritis, heart disease, piles etc. 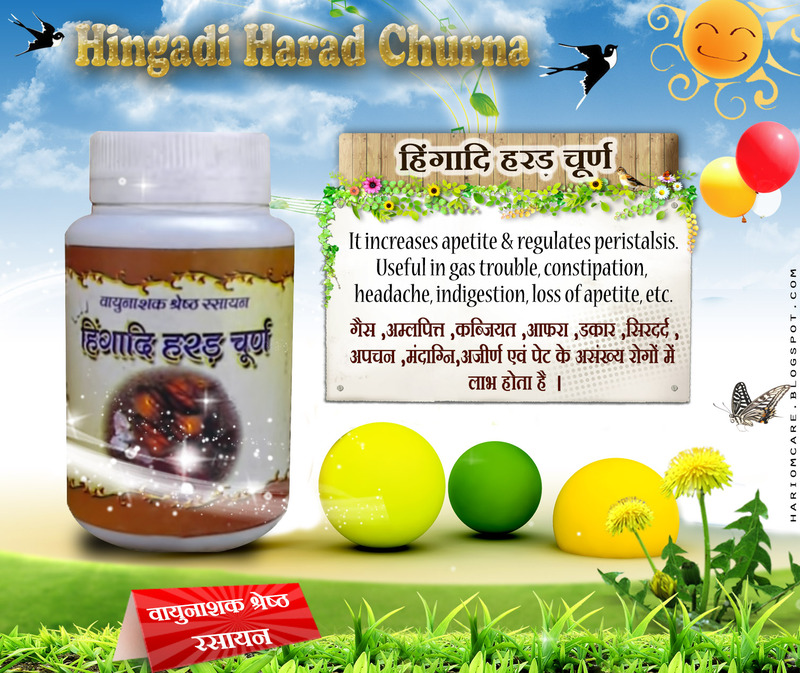 (5)Main Ingredients:- Ferula Narthex(hing), Terminalia chebula(harad) & other medicine that increases digestive power.